Art deco chandeliers recreated for world renowned School of global health. 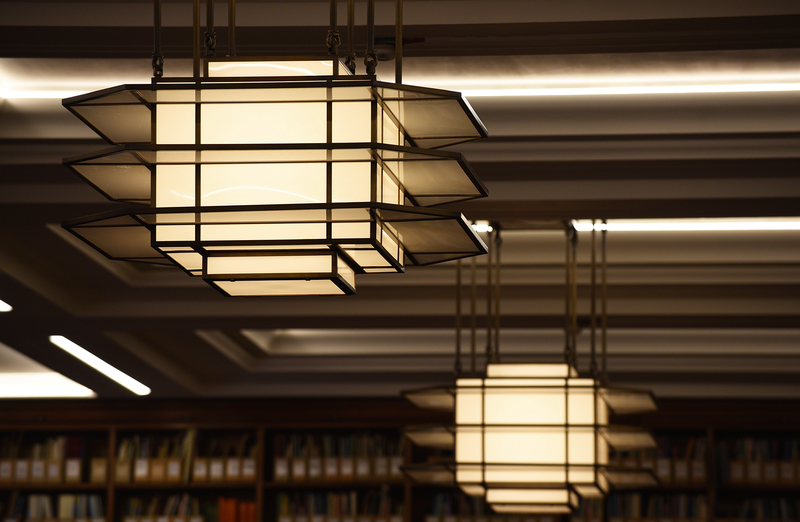 Our team’s work recently enabled art deco chandeliers to be returned to the library of the London School of Hygiene & Tropical Medicine as part of its five-year refurbishment project. The world leading centre for postgraduate research and education in public and global health commissioned Dernier & Hamlyn to recreate the historic features according to the original design. Located in the heart of Bloomsbury, London, the foundation stone for the Keppel Street building was laid on 7th July 1926 by the then Minister for Health, Neville Chamberlain. The building was officially opened on 18th July 1929 by HRH the Prince of Wales. The architects Morley Horder and Verner Rees, who had won a competition to design this building, stipulated that the furniture for the Board Room and Library should be to their design and made by a guild of craftsmen. 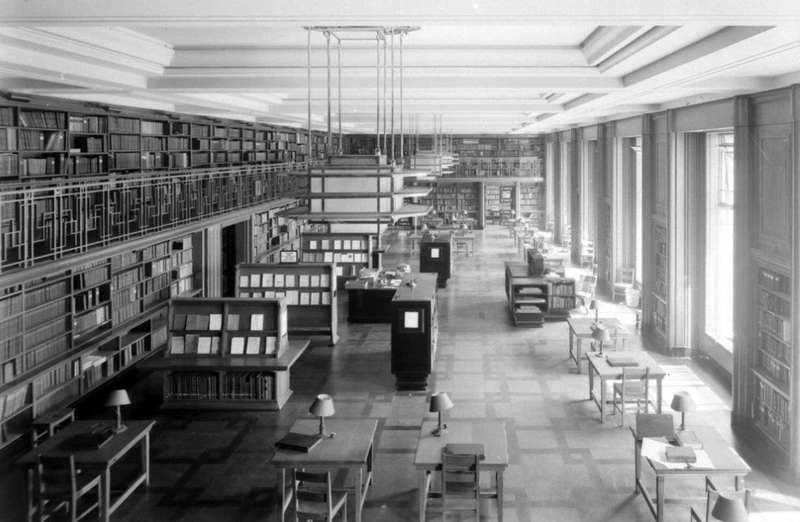 However, with the passing of time it has been necessary to restore or replace some of the library’s fittings. 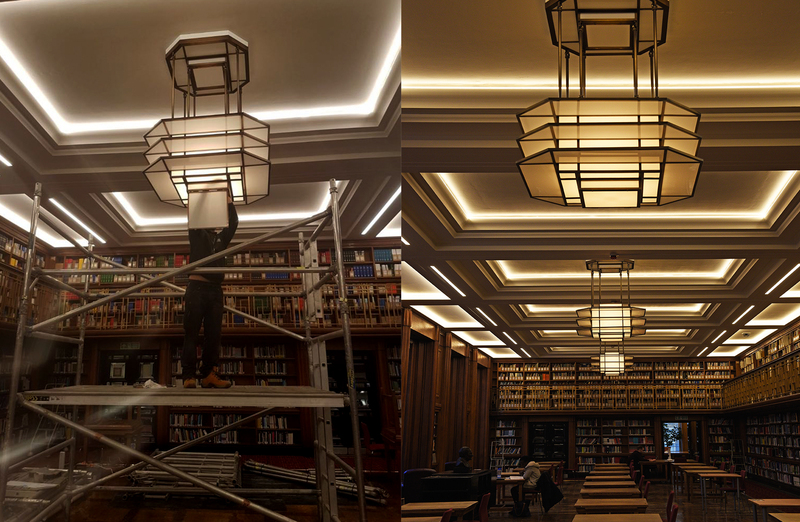 The LSHTM estates team was keen to recreate the original art deco chandeliers and restore the library to its former glory. 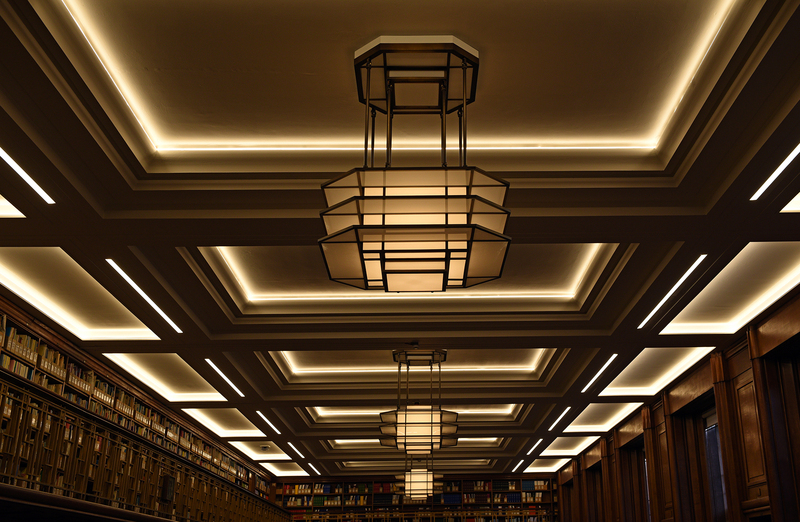 The LSHTM estates team recognised that the disappearance of the decorative lighting had a fundamental effect on the appearance of the library and were keen to recreate the original chandeliers. 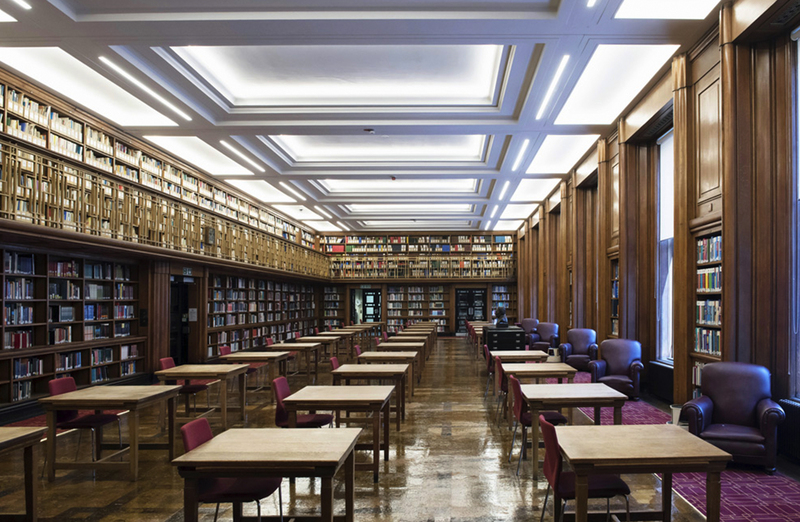 Dernier & Hamlyn worked with LSHTM to interpret archive photography of the library and make proposals, not only for how the lighting should look and be made, but also how it should be fixed to spread the load appropriately across the ceiling. It is believed that the panels in the original chandeliers may have been produced in glass. However, as materials technology has changed significantly over the past 100 years, Dernier & Hamlyn recreated the fittings using acrylic panels that dissipated the light in a better way and were also lighter, making installation more straightforward. The chandeliers’ frames, some 1500mm across, were handmade in solid brass in Dernier & Hamlyn’s London factory and installed by their team.